Lock rekeying services from BB Locksmith are just what you need to keep your property protected. 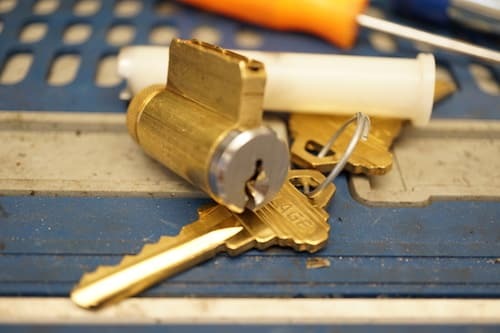 As a family-owned business, our team is available to help you with any type of rekeying need, as well as most other types of 24 hour locksmith services. Our professionals can help answer any questions you have and offer an estimate for the project you have in mind. Working with a trusted, experienced locksmith is essential – it helps protect you and ensures you get quality workmanship every time you need help. We encourage you to give BB Locksmith a call today to discuss your specific needs. 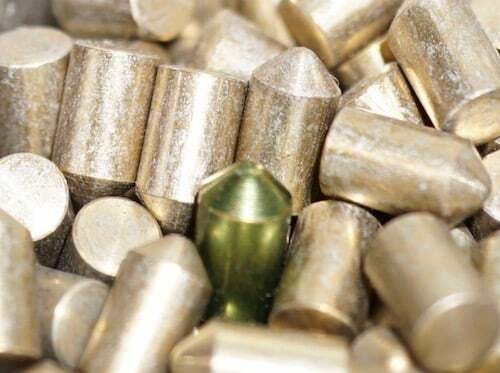 What Is Lock Rekeying and Why Should You Use It? Property owners can rekey locks for many reasons. The goal of doing so is to keep the actual lock in place (often because replacing it would be too difficult or expensive) and instead creating a new master key for the lock. The biggest reason to do this is simply to render all previous keys to the lock worthless. Once you master key locks like this, only the new key created during the process can open the locks. Previous keys can no longer access the lock. You should consider the benefits of rekeying your locks for several reasons. For example, rekey business locks if you are taking over the location (such as you just purchased the business) or because you want to ensure no one else is able to get into the business that previously had a lock. It is important to do this if you have given vendors a key and no longer plan to work with them or you’ve lost keys from previous managers or staff. Another time to do so is when you buy a new home. Rekey your home locks any time you have given a key to someone else and you do not want them to gain access to the property. If you buy a house, it is essential to rekey the deadbolt and other locks on the exterior of the home. When you rekey your knob locks, you also gain a higher level of home security and peace of mind. It is also a good idea to rekey high-security locks on a routine basis to ensure that the access points remain protected. Doing this on an annual basis, for example, may be ideal for many needs. Why Trust BB Locksmiths in Naples, Florida for Lock Rekeying? Lock rekeying is a task that requires a professional with ample skills. BB Locksmith is a family owned business, a real locksmith. We are here to help you and provide outstanding service to you. When you use a trusted company like ours, you do not have to worry about poor quality workmanship or ineffective services. We offer two walk-in locations we would be happy to help you at. We also offer a mobile lock service in Naples to ensure you can get help at your location. Now is the time to give us a call to discuss your needs in lock rekeying. Schedule a consultation or appointment with us. Can I bring my locks to you? Sure, we’d be glad to rekey your locks in either of our shops. Alternatively, we can come to you. Just make sure your house or business is being watched since it won’t have locks for a short period of time. Once we have your locks at our shop, we should be able to rekey the locks in just a few minutes. Can you rekey a Kwikset smart key? Kwikset can easily be rekeyed. However, those locks are not the most durable or secure. As security professionals, we recommend installing Schlage Primus if security is important to you. Can you sell me a rekeying kit? At BB Locksmith, we don’t sell our tools to customers. Rekeying locks is one of our specialties. We have replacement pins and lock parts on hand should anything go wrong. It’s not really cost effective for you to buy a kit then do the job yourself. Can you master key my locks? We most certainly can. Master key systems work great with 5 or 6 pin locks. It will provide you with added security and key control as you will be able to compartmentalize who has access to certain doors. If that sounds like something you would like, give us a call. A family-owned and operated company founded in 1977, we serve residential and commercial customers throughout Collier and Lee counties from our two convenient locations.